Pet-inspired tattoos are highly popular today, perhaps even more popular than you think… And the more often you can see pet cat tattoos or dog ones as according to the official statistic, these are the most common house pets in the United States. To own a pet is a big deal and that’s why a lot of pet owners want to have their four-legged friends with them forever. 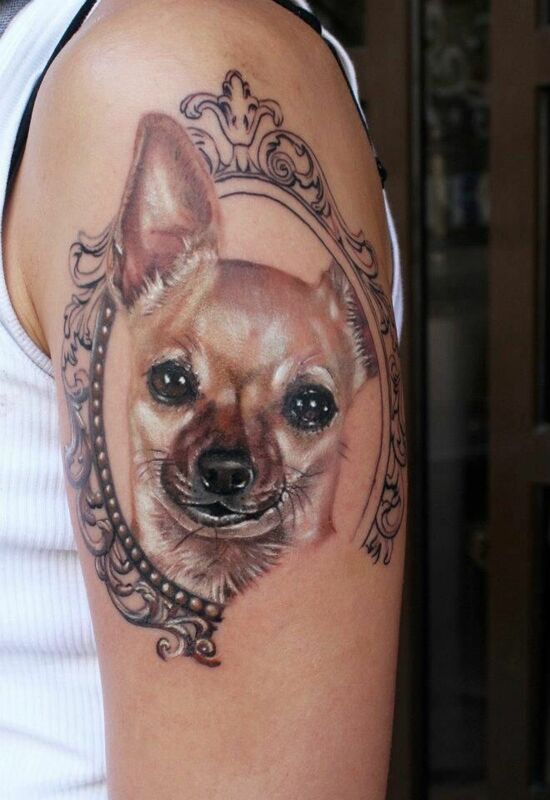 There are several fundamental reasons why people like getting the tattoos of their pets. Most pet owners get tattooed because of their immense love for their four-legged friends. At first sight, it’s a pretty simple reason and, moreover, a fairly obvious one. Almost every animal lover realizes that the pet knows him/her better than some friends and certainly loves much more than anyone in the world. And that means a lot! The most interesting and valuable thing between pets and their owners is that the pets never judge and lie, they never betray and always forgive their owners no matter what mistake they’ve made because the pets are capable of unconditional love and express complete devotion to their owners. And in turn, the pet owners decide to have the faces of their cute pets inked onto their skin so often because they also want to thank their pets for kindness and support. It often happens that it’s not so easy for most pet owners to deal with the grief of losing their little friends when their time is just up! A lot of people perceive their four-legged favorites as a part of themselves and that’s why their death is seen as the immeasurable loss. Sometimes getting tattoos for lost ones is one of the most effective ways to make the pain of loss a bit easier because covering the skin with the pet portraits are considered as a tribute to them. Some people prefer to use the tattoos as a way to commemorate the pets after their death and, thus, get small remembrance tattoos. By the way, even people who have never thought about getting tattooed can gather enough courage to have a pet tattoo after the loss of their favorite. As has been already said, a lot of grieving owners are severely hurt by the loss of their four-legged loved ones and because of that, they decide to get their first tattoo – the tattoo of their lovely pet. Well, the animal lovers know what pet friendship is worth and try to cherish it like the apples of their eyes! Sometimes the owners realize that their pets deserve to be near them always and everywhere and for this purpose they go to a good tattoo parlor to have a tattoo in honor of their four-legged loved ones primarily to show their appreciation to them! 85 Arm Tattoos- Just For You !